What Council of Church “leaders” Collected the NT Books? I was just going through the Rose Book of Bible Charts, Maps & Time Lines. I find the book very helpful in many respects but was struck by the deceptive “factual” statement about the list of books in the New Testament. Then I am curious about a few things. First, who were these “church leaders”? Were they Protestant professors or pastors? Or, might they be the councils of the Bishops of the Catholic Church? Hum! The same guys who said the Eucharist is the Real Body and Blood of Jesus — and that one is born again through water baptism? Second, who were these rabbis? Might they be the mythical “Council of Jamnia” which even Protestant scholars admit did not decide the books of the Bible — the very rabbis debunked by Jesus in favor of the Church’s authority? Third, if we accept the authority of the Bible Alone — where in the Bible does it say that there will be inspired writings added to the already existing Old Testament? Where does it give us the list of New Testament books or the criteria for knowing what books should or should not be included? And even if it did, wouldn’t that be circular reasoning? Fourth, and why did it take almost 400 years for these rabbis and church leaders to figure out which books belonged in the new collection of books added to the old collection of books? The fact is, Protestants don’t want to admit it, but the problem of the canon of Scripture is the Achilles Heel of Protestantism and one of the reasons I joined the Catholic Church! 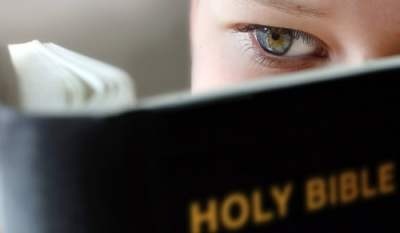 If you want to learn more on this, check out my list of 36 “Questions for ‘Bible Christians‘”. For other free resources, visit here.